Indonesia is one of the most popular countries to spent holiday for many travelers around the world. Indonesia consists of many district and sub-district that has a lot of tourist attraction. One of the interesting places in Indonesia is Cileungsi. Klapanunggal Lime -Cliff is located in Klapanunggal village, Ciluengsi, Bogor Regency, West Java. This tourist object was formerly a limestone quarry that used as cement raw material. The past activities of limestone mining are leaving a huge cavity that filled with water. Not only the cavity, but the past mining also leaves a cave and mini waterfall that made the place more beautiful. This place is popular for the bride to be as the location of the pre-wedding photo shoot. transportation, public transportation and also tour and travel agent. because this place is popular, some travel agent have been put this tourist object on the list. the ticket price is also cheap, it’s around Rp.10.000,- /person. At first, there is no need to pay for a ticket to enjoy this exotic place. But now, you may pay it due to the need for taking care of the place. it is basically open for 24 hours, but are really want to come to this place at 12 a.m? facilities that can be used and enjoyed by the visitors. There are Family Gaden, baby Zoo, Kids fun Valley and a lake located inside the Garden area. Students usually come to visit Mekarsari Fruit Garden to learn about fruit cultivation because in this place there are breeding and also research about high-quality seeds before it delivers to the farmers. This place is also easy to accesses since it located in the main street of Cileungsi. You may just take the bus or other public transportation that pass this place or also you may use travel agent services. The ticket price also affordable if we consider the accommodations and facilities in this garden, the ticket is around Rp.50.000 to Rp.125.000 based on the packet you take. You can come to this place from 08.00 a.m to 16.30 in the weekdays and it will open longer at the weekends. Next destination you may visit while you are in Cileungsi is the Hobbit Hill Eco Village. just like the name, this tourist object is a set of Hobbit hill like in the movie of “Hobbit”. 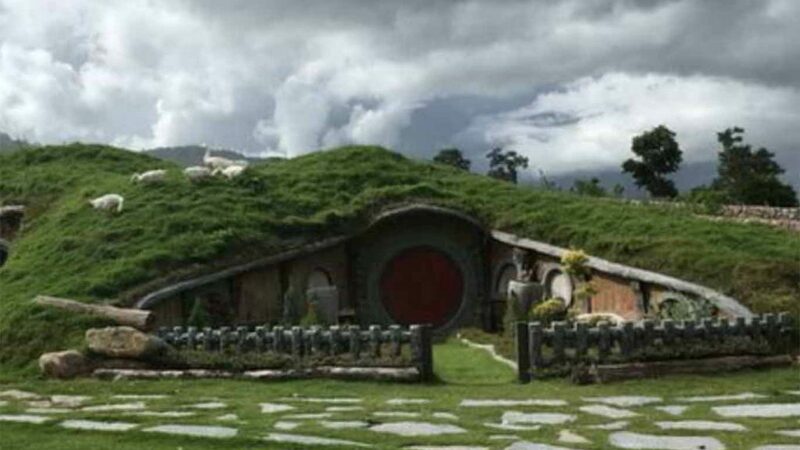 there are the mini house and many other sets that similar to the real movie set of Hobbit. not only the unique set of the Hobbit but this place also offer a lot of facilities and beauty such as the little lake, water sport and also the agro-tourism. This Hobbit Hill also a popular spot for taking photo shoot. many couple come to this place to take a couple of picture or pre- wedding photo. also, in this place are provide resto which you can enjoy food while you are in recreation. to reach this place also easy is located near to Mekarsari garden. 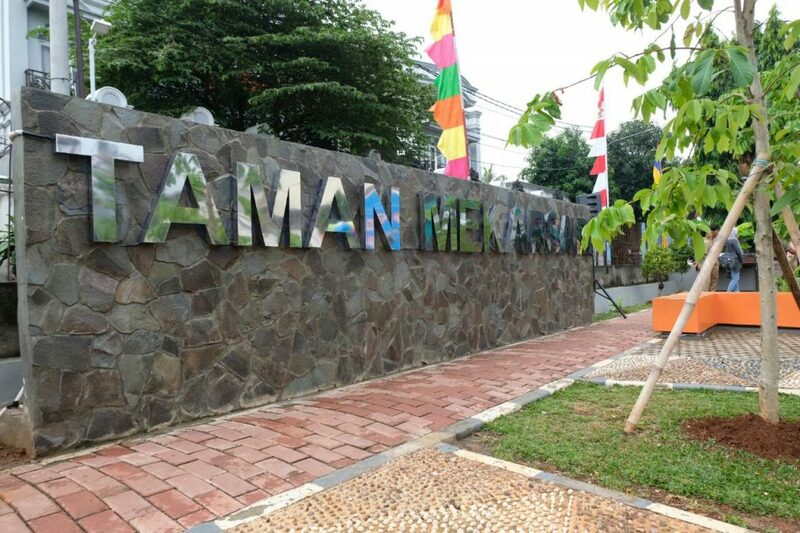 you can go to this place by bus or another public transportation that destinated to Cibubur. Hobbit Hill opens from 10.00 a.m to 10.00 pm. and if you want to enjoy some music show, you may come to this place on Saturday night. the ticket price also really affordable, around Rp.20.000/person. Another thing to do in Cileungsi is to visit an exotic Curug (Waterfall) located in Cilengsui River. Curug is a kind of waterfall that shaped in a stone river. 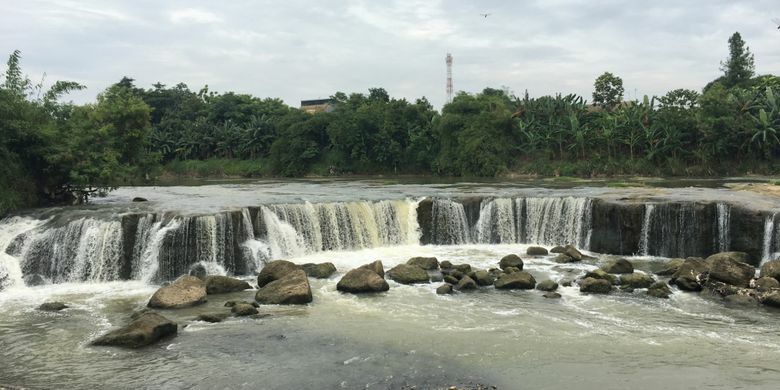 this Curug (waterfall) has very beautiful scenery since it still natural. it becomes more beautiful to come here in the morning or when the sun was going down. you don’t need any ticket to come to this place and you may come everytime you want. You just need to pay Rp.5000 for the parking fee. this place is perfect to take a pre-wedding photo shoot. you can come to this place by private or public transportation. But you need to be careful while visiting this place since it is a natural venue that still natural. carefully to not damage anything in this place and also not to hurt yourself. Next thing to do in Cileungsi is playing water in Eldorado waterpark. you come to this place with your kids and family. this waterpark considered as the cheaper waterpark among the other. only with Rp. 40.000 – Rp.50.000 / person you can enjoy the facilities of this waterpark. 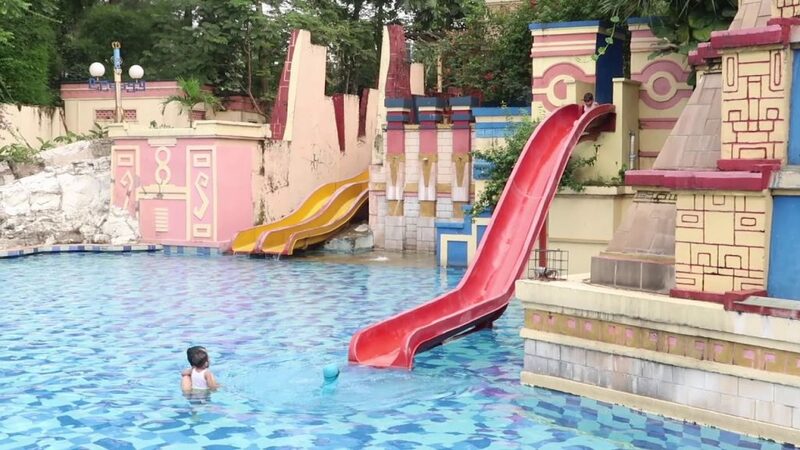 this waterpark located in Legenda Wisata Cibubur Housing Complex. you can come to this place with private transportation or online taxi since it is near the toll gates of Cileungsi. you may come to this place around 10.00 a.m to 17.00 in the weekdays and weekends. in this waterpark, you can spoil your kids and family with the interesting water arena that offer by the water park. moreover, you can release your stress in a very simple way. That’s some of tourist object that we can do while we are visiting Cileungsi. although there are still much things to do in Cileungsi, West Java Indonesia such as visiting some trending restaurant and cafe or playing golf in Meilia Golf Driving Range. Cileungsi also easy to reach since there are may public transportation that passes this city.